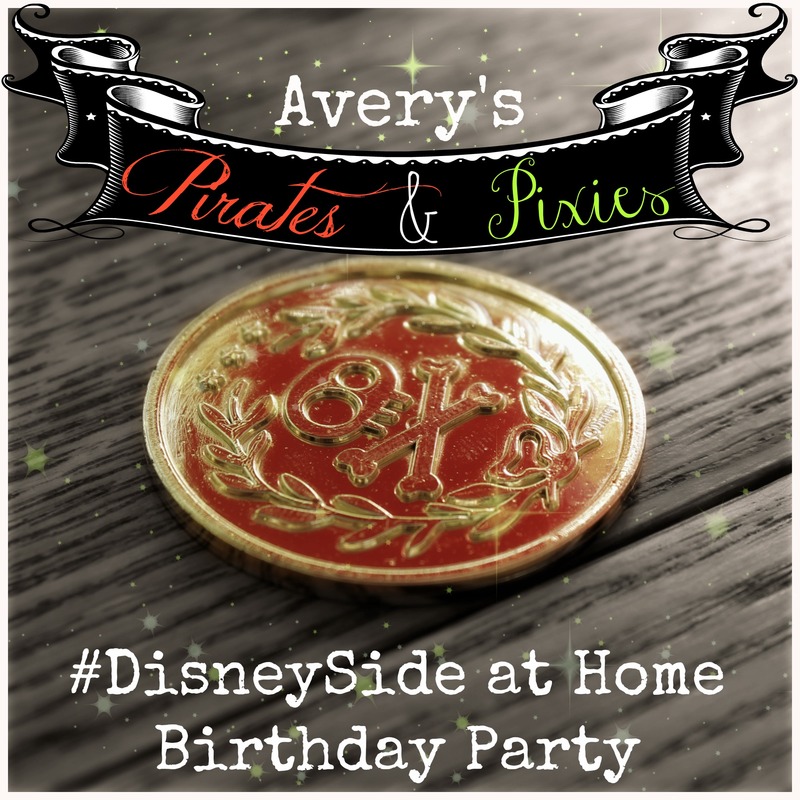 Avery’s Pirates & Pixies #DisneySide Early Birthday Party! 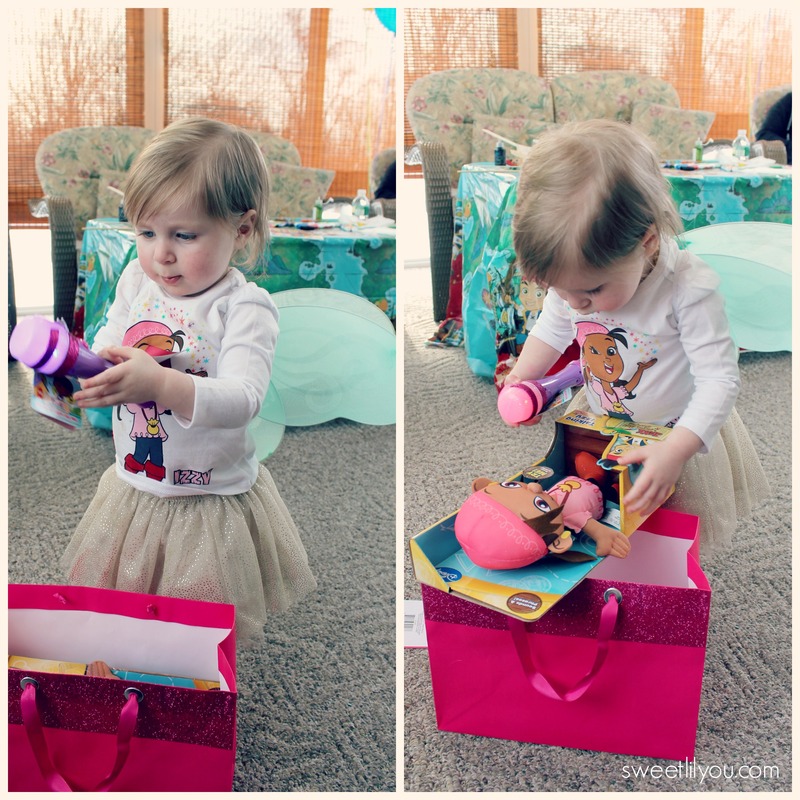 This weekend we headed out to NY to celebrate Avery’s 2nd Birthday. yeah, yeah, I know, her birthday isn’t until April, but we decided to celebrate in my hometown, with some friends and family who wont be able to make it out for her little birthday gathering in RI. 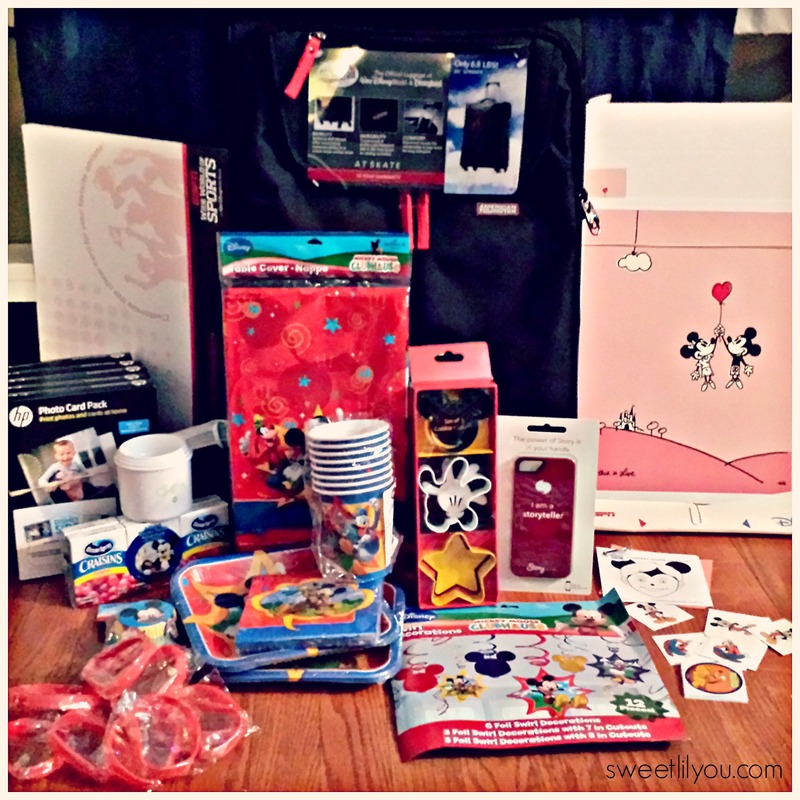 We received lots of fun supplies for the party from MomSelect, Disney Parks, and HP all packed into an incredibly fabulous American Tourister suitcase! Avery was happy to help me unpack! There were so many goodies inside! 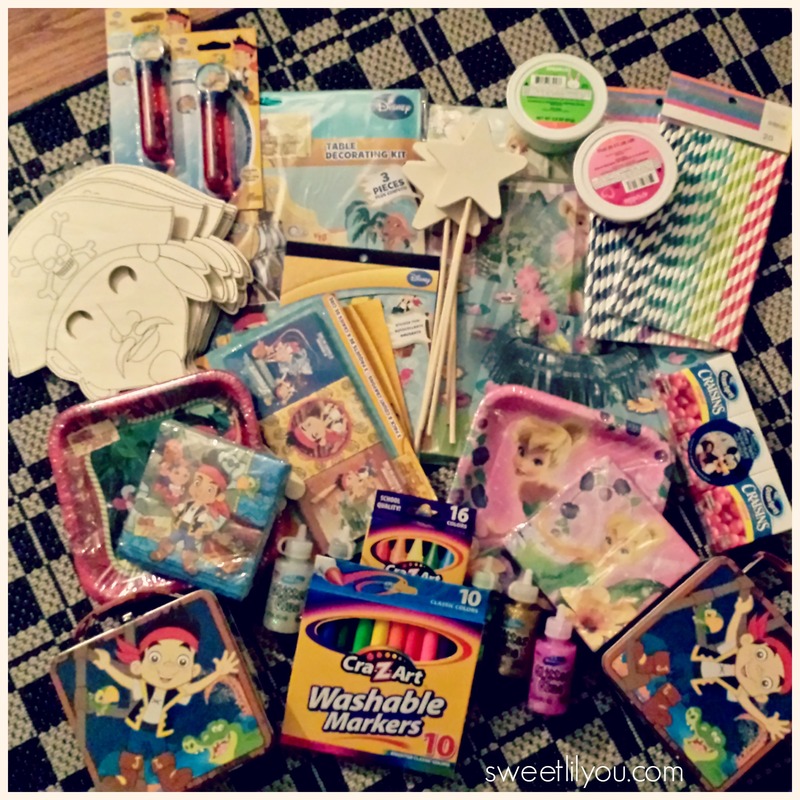 Decorations, plates and cups, RunDisney bracelets, Photo paper from HP, Craisins from Ocean Spray, cookie cutters, stickers, tattoos….and so much more! 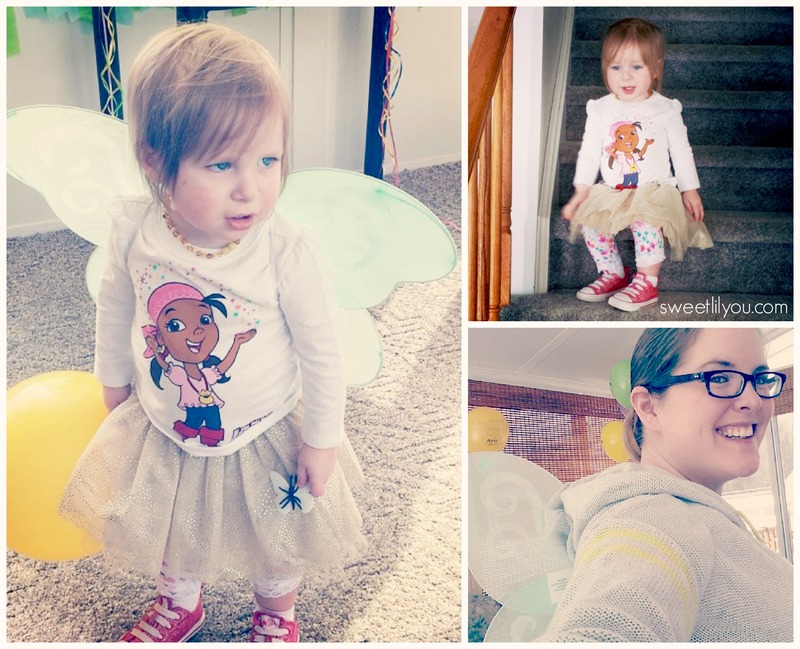 We decided that we wanted to really showcase Avery’s Disney Side (or, Disney Sides. 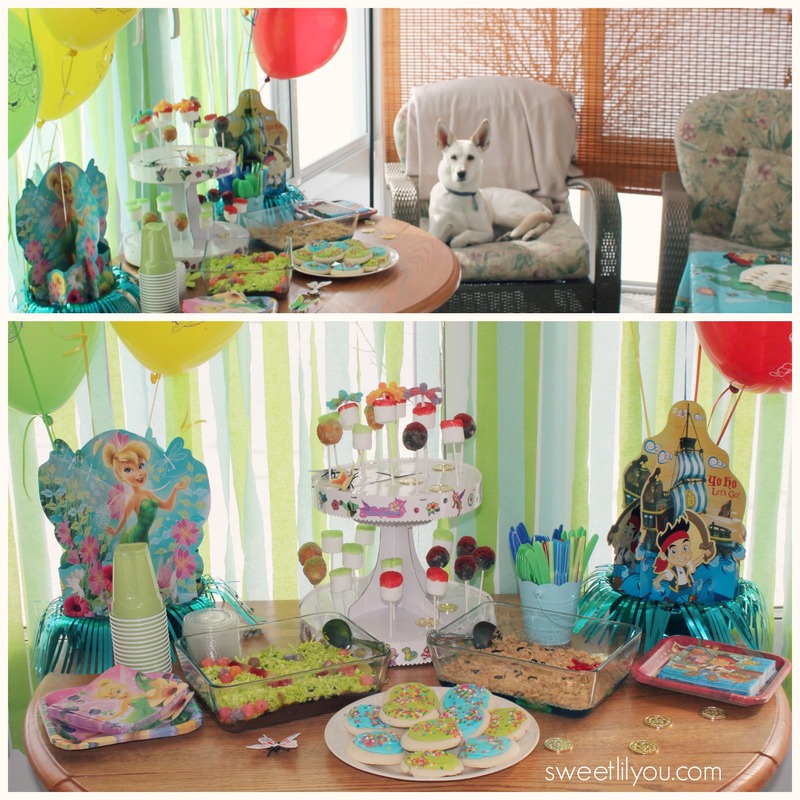 Plural) So we went with a Pirates (Jake & The Neverland Pirates) and Pixies (Disney’s Fairies) theme! 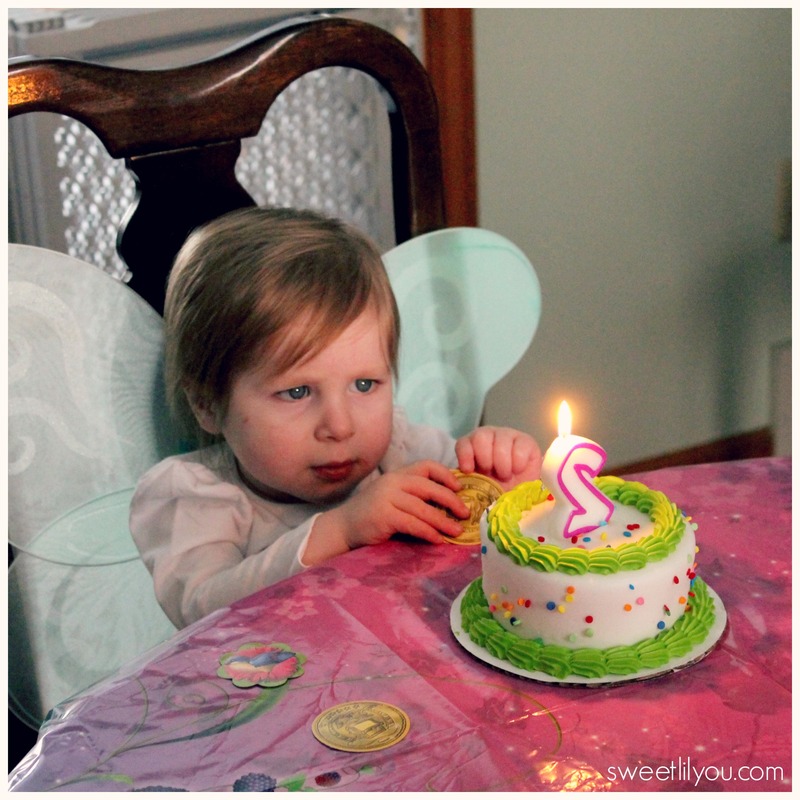 Avery has that gutsy, adventurous Pirate side, but she also has a sparkly, pixie dusted side! I headed to the store and returned home with all the necessary supplies! We set the table, and my Aunt’s dog, Mia, supervised! And lots of scrumptious treats! I made a few different Pirate and Pixie pops! (Instructions coming soon!) And found the PERFECT cookies at Target to fit our color scheme! 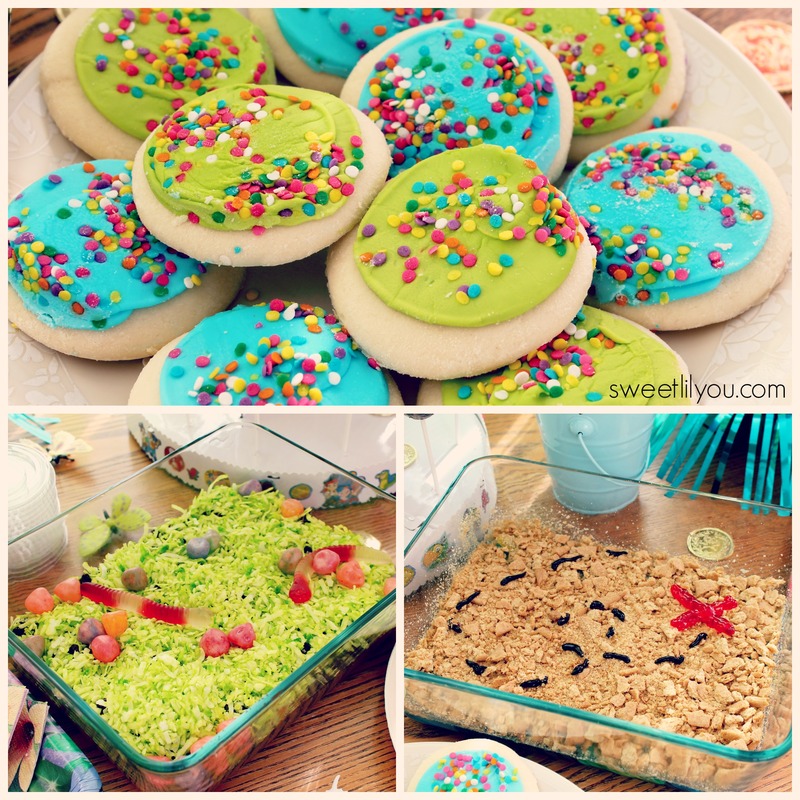 I also made a Pixie Hollow Pudding and a Pirate’s Lagoon Jello treat! (Instructions coming soon!) 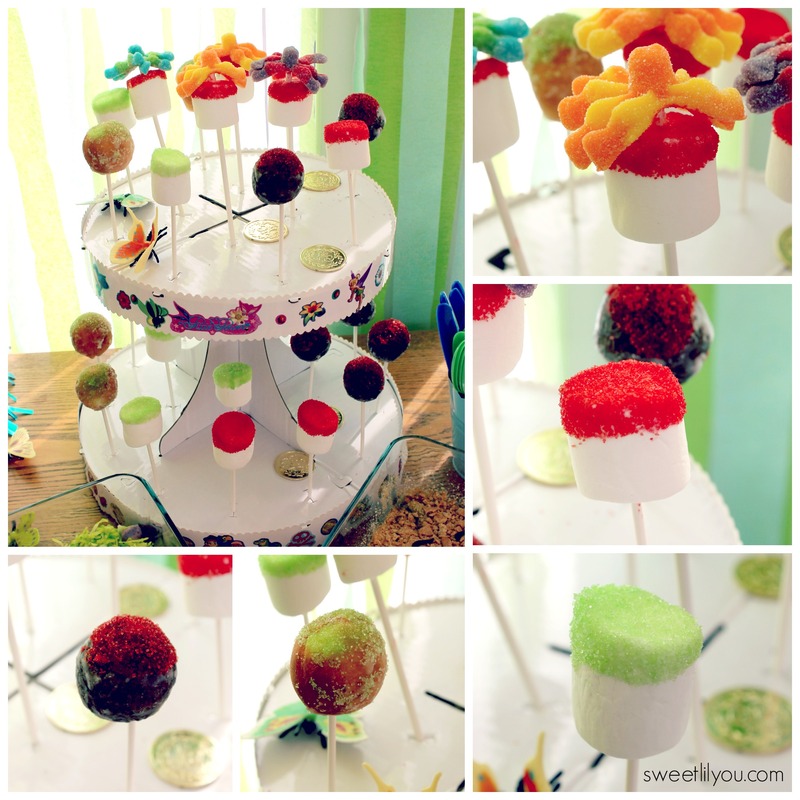 And of course, there were non-sugary snacks as well! 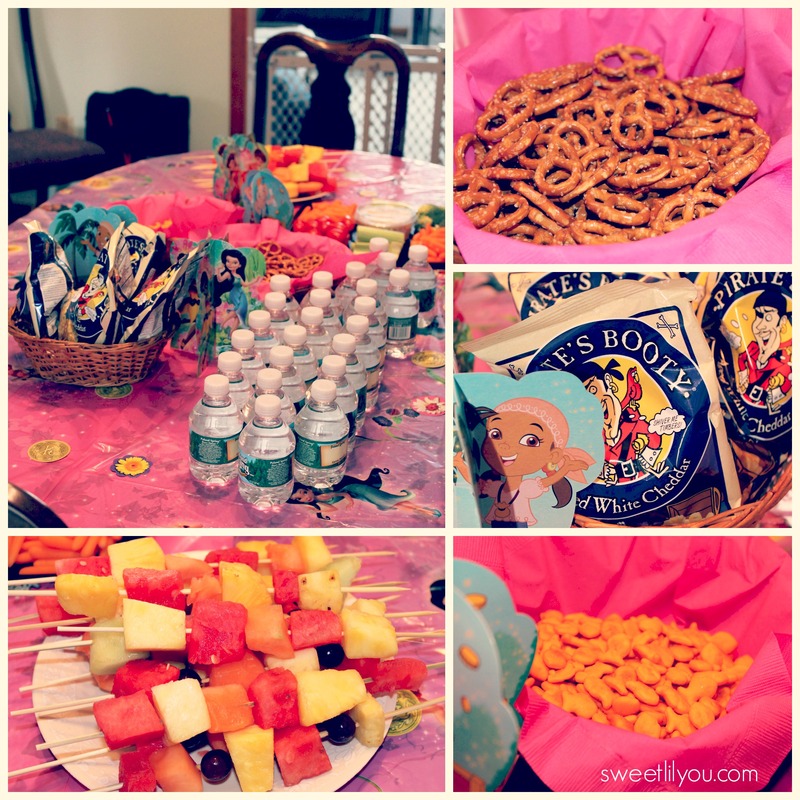 We had a craft station that occupied the kiddos (and some of the adults) for the first hour of the party! 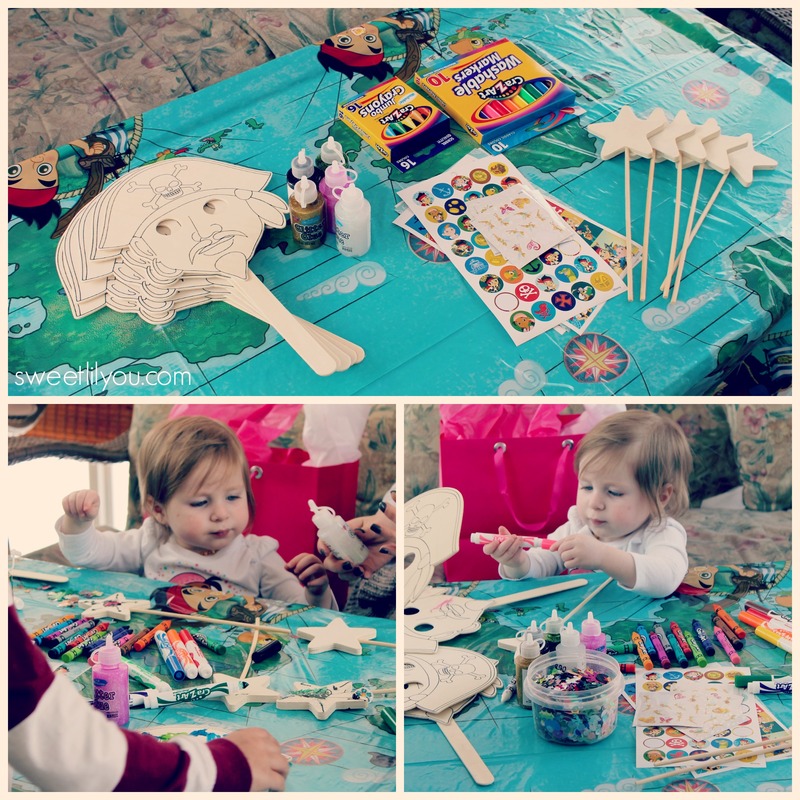 Guests made pirate masks and Fairy wands! We had a great time, and I loved incorporating our #DisneySide into the party! Thank you to all our guests who came out to help us celebrate. And thank you to MomSelect, Disney Parks, American Tourister, HP and all the other sponsors! 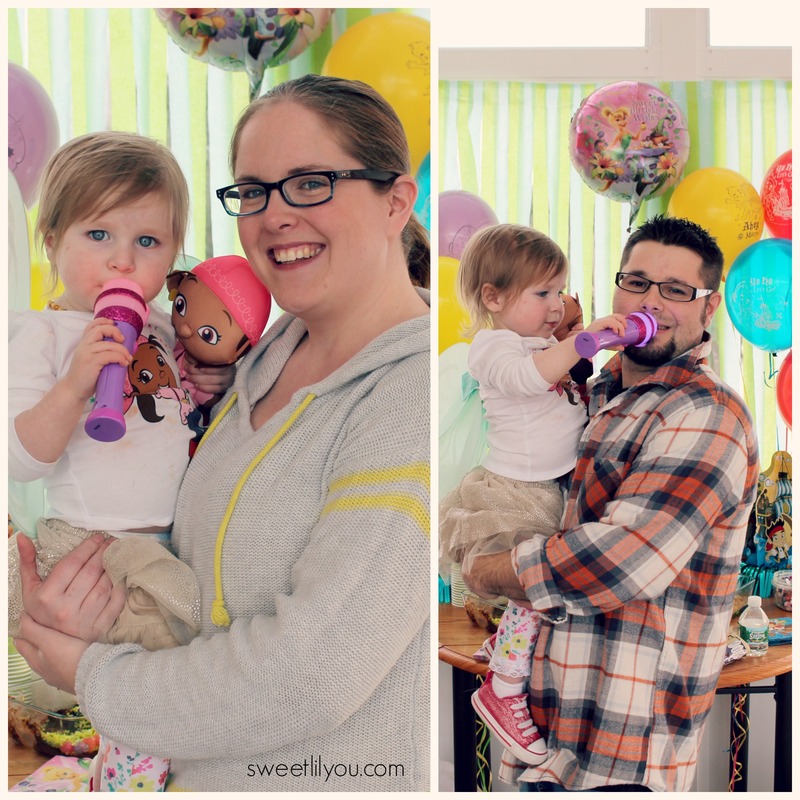 The party was so special because of all of you! 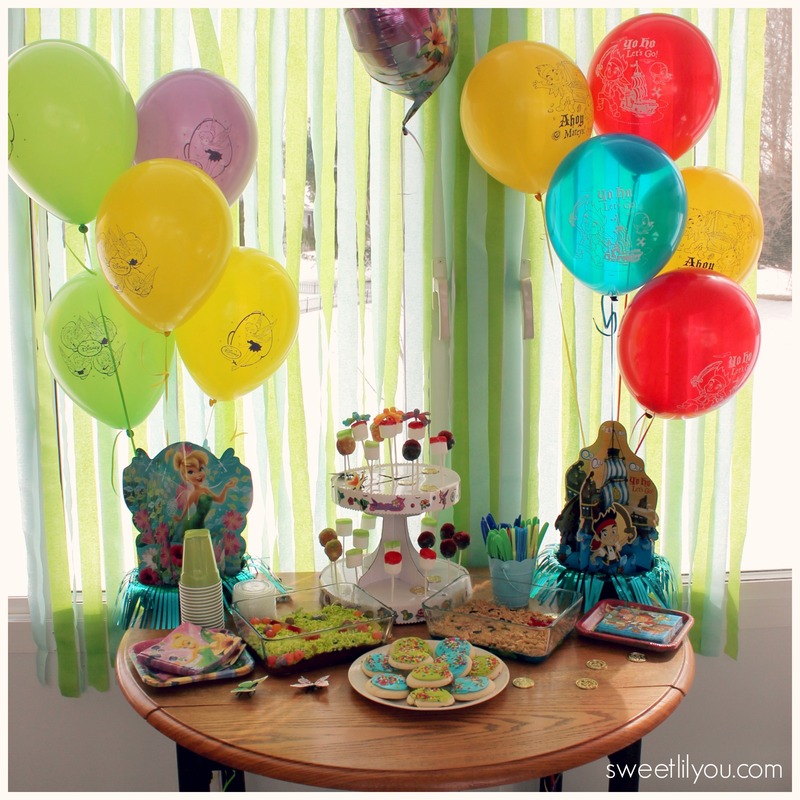 For more information, and ideas for hosting your own #DisneySide at Home Celebration check out these links! Follow the #DisneySide hashtag on Twitter, Facebook, Vine, YouTube, Pinterest and Instagram! 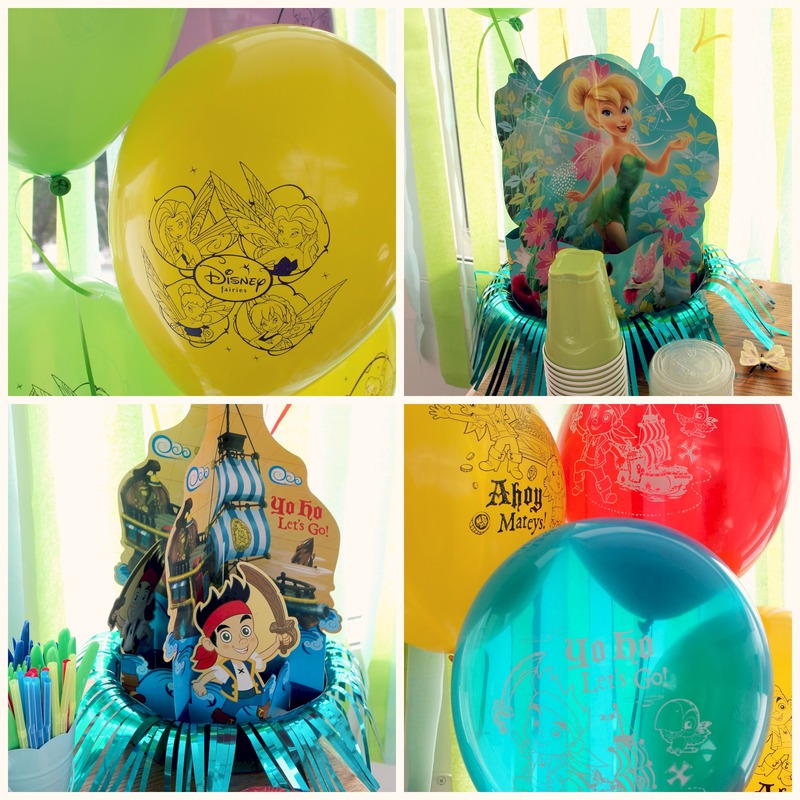 This entry was posted in Disney, Family Fun, parties, Uncategorized and tagged #DisneySide, birthday, disney, Disney Parks, DisneySide at home celebrations, events, fairies, family, fun, ideas crafts, kids, momselect, party, Pirates, Pixies, projects. Looks like a wonderful party. I had my Disney Side party couple of weeks ago and went with a classic Mickey and Minnie theme. 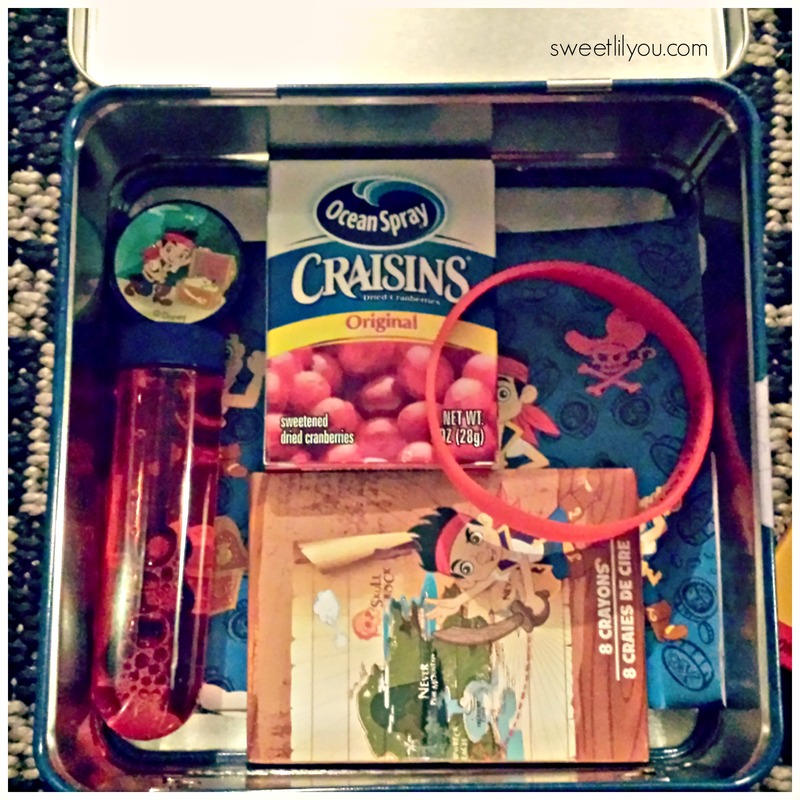 Kristin Wheeler (@MamaLuvsBooks) recently posted…Dreaming of a Disney Vacation?